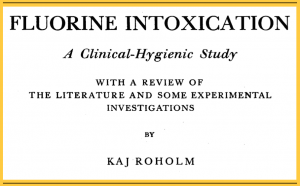 cases of acute poisoning in man by various fluorine compounds. Maller and Gudjonsson, in cryolite workers. 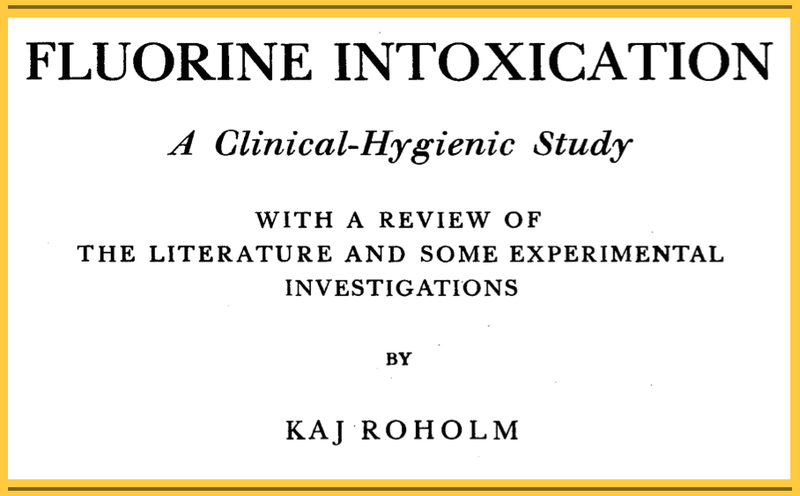 Excerpts from: Roholm K. (1937). It would not have been possible to carry on the work without help and kindness from many quarters. Dr. O. Brinch discussed problems of bone pathology with me and gave me valuable guidance. Dr. J. Engelbreth-Holm assisted me in judging the microscopic organ changes. Mr. R. Bagvad, M. Sc., examined bone slides in the polarization microscope. 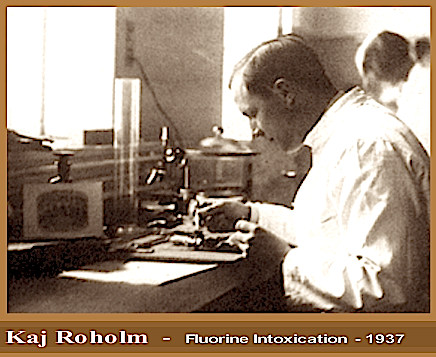 Mr. H. Buchwald, the Chief Chemist, analyzed fluorine preparations for me and helped with the analytical part. Mr. C. J. Howitz, of Viborggaard Farm, Herlufmagle, and Mr. S. Hjortlund, the Veterinary Surgeon, Copenhagen, assisted me to tend and slaughter the large experimental animals.